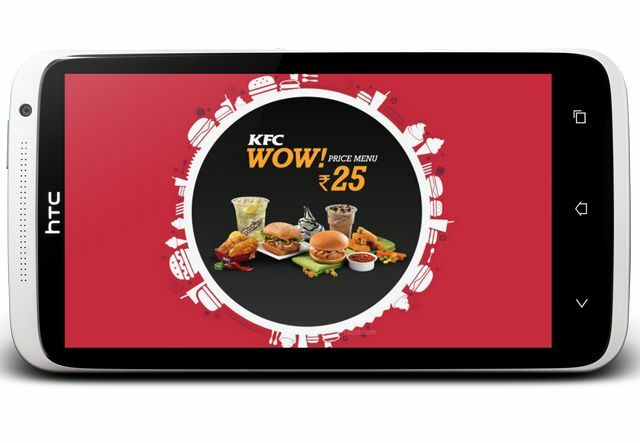 KFC India recently launched it’s new Augmented reality app for Android, KFC Wow@25 Menu. The app use to promote KFC WOW Menu which offer tasty food at affordable prices in India. With this app, users can scan any Indian currency note from ₹ 10 to ₹ 1000 to find out what yummy KFC food you can get. Just open the app and scan Indian currency note with your Smartphone and the app will show 3D View of the WOW Menu Options. Toggle through the KFC WOW Menu options by Swiping. You can also Share the app with Friends on Facebook and Twitter. Once you know all the KFC goodies then you can participate in the quiz of 25 questions within the time limit of 25 seconds. Winner will get an iPad Mini as the Grand Price and KFC Vouchers worth Rs. 500 every day. The app requires Android 2.2 and up and can be downloaded free from Google Play Store.